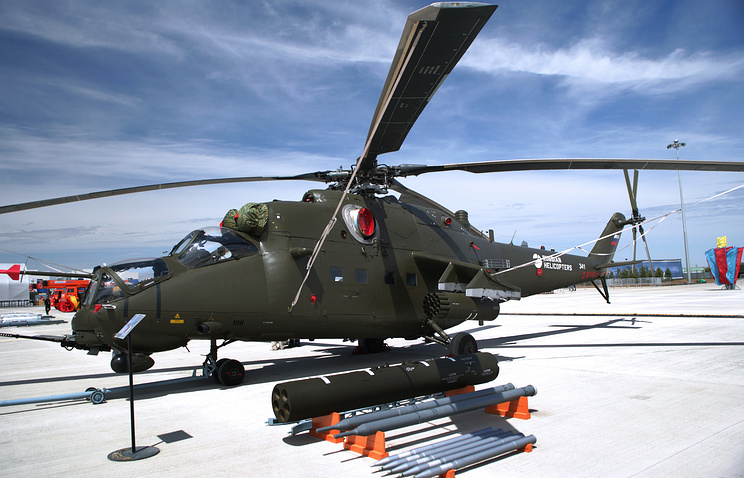 The Russian Helicopters holding signed a contract to deliver aviation equipment the Air Force of Peru’s Mi-35 attack helicopters with transport capabilities, the company said Thursday. It specified that the first fixed-term contracts on aftersale services were signed between the company and the Peruvian Defense Ministry after it won a tender in early July. “In accordance with the terms of the agreement, the Russian holding company shall complete the delivery of aviation equipment for the helicopters before the end of 2016,” the Russian Helicopters’ press service said. “Russian Helicopters is counting on the gradual increase in the volume of deliveries,” Deputy CEO overseeing aftersales service Igor Chechikov said. Peru operates the export versions of Russia’s Mi-17 transport and Mi-35 attack helicopters in special operations combating drug trafficking and illegal armed groups in the country’s remote areas.